EA pulls up with two new bits of downloadable content for Need For Speed Undercover today, with a free Challenge Series and a slightly less free Boss Car pack for the taking. 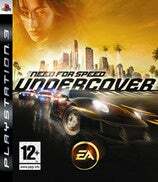 The free Challenge Pack introduces two new modes to Undercover - Highway Wars and Highway Checkpoint - the former being a race through traffic and the later being a time attack through traffic. The pack adds 60 new events between the two new modes, with three new cars available as rewards: the Battle Machine Mazda RX-7; Speed Machine Porsche 911 GT2; and the Dominator Corvette Z06. Those who prefer their new cars at a price can pick up the Boss Car pack for $5.00 or 400 Microsoft points, which unlocks every highly-tuned boss car in the game for your personal use. Both packs are available right now on the PlayStation 3 and Xbox 360.